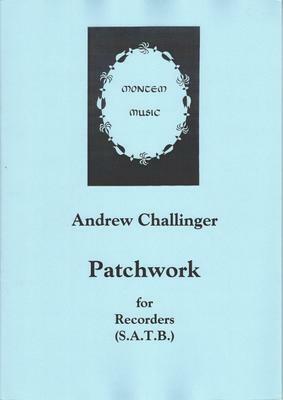 Patchwork was designed for a large group of around two hundred and fifty players but should be playable as a recorder quartet. It was intended to be performed after a fairly short rehearsal, though the players had access to the music in advance. There are some slightly tricky passages but the principal challenge is to maintain neatness of ensemble. The title refers to the fact that several disparate musical ideas are put together without a great deal of development or repetition as if searching for something settled. What do you want to know about Patchwork?